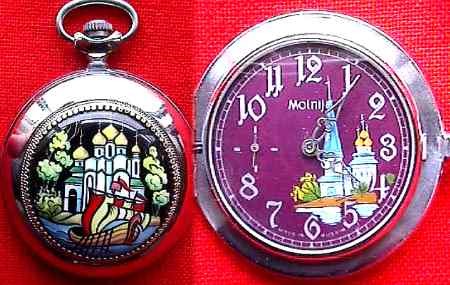 This is Russian Pocket Watch made at MOLNIYA plant in Chelyabinsk at Ural Mountains in Siberia. It has wind up movement (see picture #1 on this page). The cover of the watch has hand painted enamel picture from Russian fairy tale. To paint enamel picture artist needs to fire the picture after each color. It is a very time consuming work. This watch has very beautiful face that also has enamel picture on it. This is a closed case design watch (approximately 2'' diameter) coming with 12'' chain. 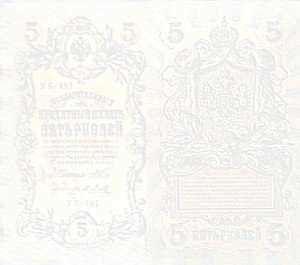 It is very nice for your collection and for use. You are welcome to visit our RUSSIAN ISLAND Store. We are located in the best mall in Dallas- Dallas Galleria Mall.